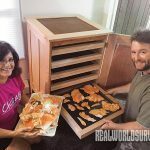 Bust out the power tools and use these plans to make a high-capacity, pantry-stuffing food dehydrator! 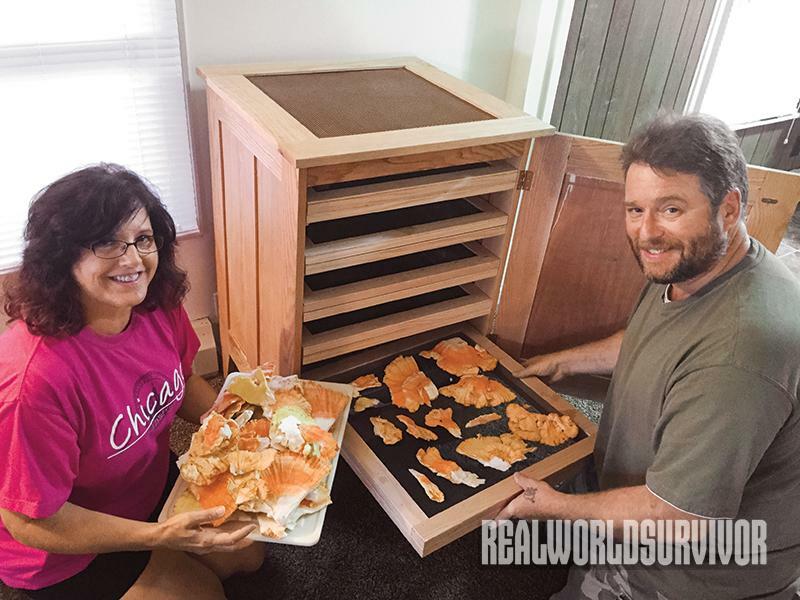 The author and his fiancé Beth load a chicken mushroom harvest into the dehydrator. The Shaker-style dehydrator is good looking and designed to get the job done right. <b>STEP 1:</b> Getting Started <br> First, dimension your lumber according to the Material Cut List on page 90. 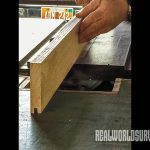 You will be cutting a centered 1/4-inch-wide by 3/8-inch-deep dado, or groove, in one edge of each stile and rail, pieces (F-S, F-R, S-S, S-R, B-S, B-R, T-S and T-R). 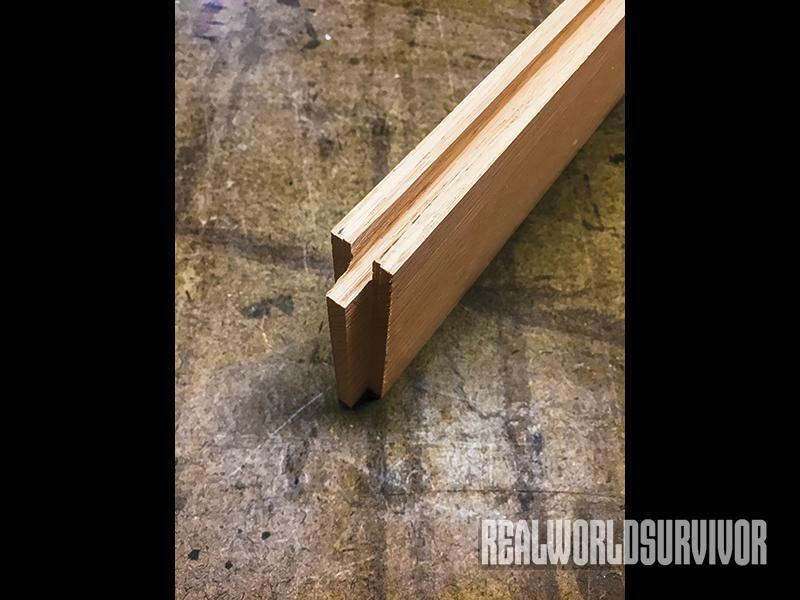 Then you will cut a 1/4-inch-by-3/8-inch tenon on each end of each rail, pieces (F-R, S-R, B-R and T-R). This tenon will be glued into the corresponding dado in the stile. 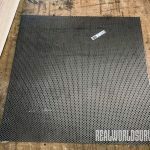 <br> <br><b>STEP 2:</b> Cutting Dadoes <br> To begin cutting the dados, set the blade height on your table saw to 3/8 inches. Next set the fence a 1/4 inch away from the saw blade. To cut a perfectly centered dado, make a cut on each face of the board. Position one of the 3½-inch faces tightly against the fence, and using a push block, run the piece through the saw. Now flip the board around so that the opposite face is against the fence, and run it through the saw once more. You now have a perfectly centered dado measuring 1/4 inch wide by 3/8 inches deep as you’ll see in Photo 1. 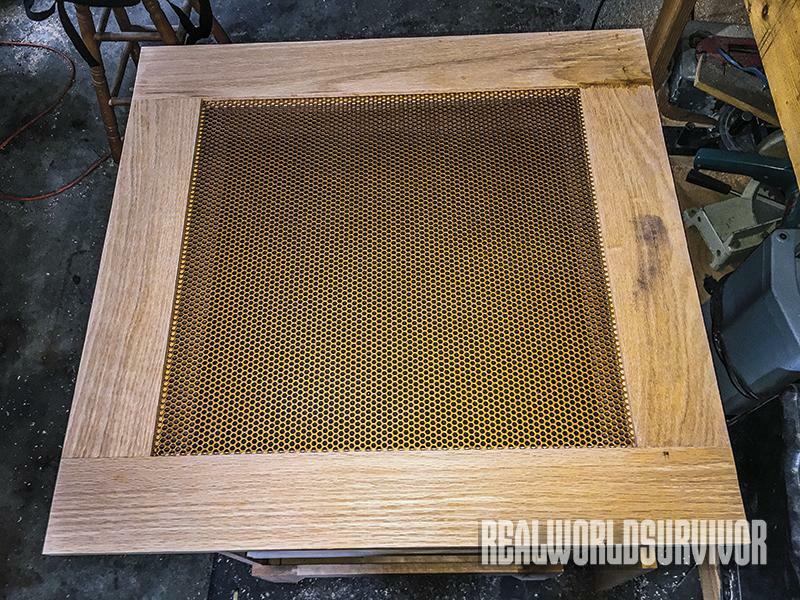 For the panels on each side of the dehydrator, dado both edges of the oak center stiles (S-C). 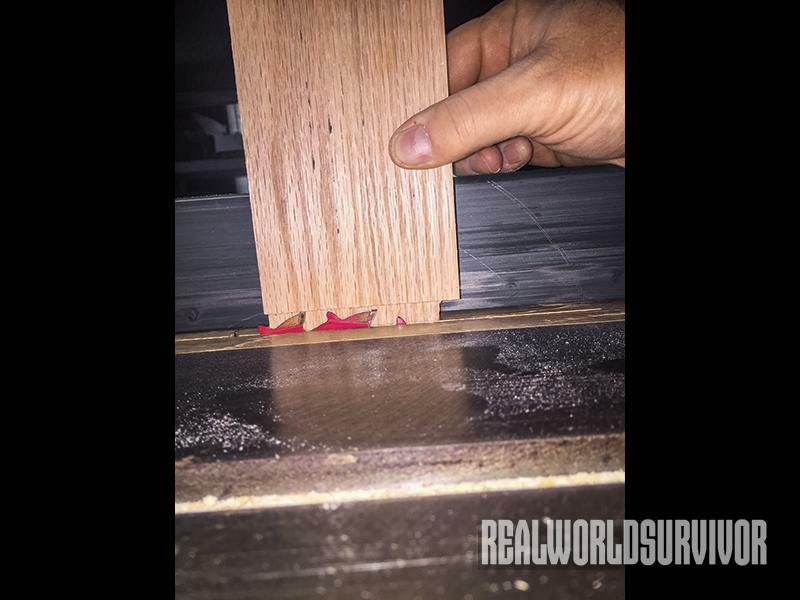 <b>STEP 3a:</b> Forming Tenons Now form tenons on both ends of the rails (F-R, S-R, B-R and T-R) and center stiles (S-C). 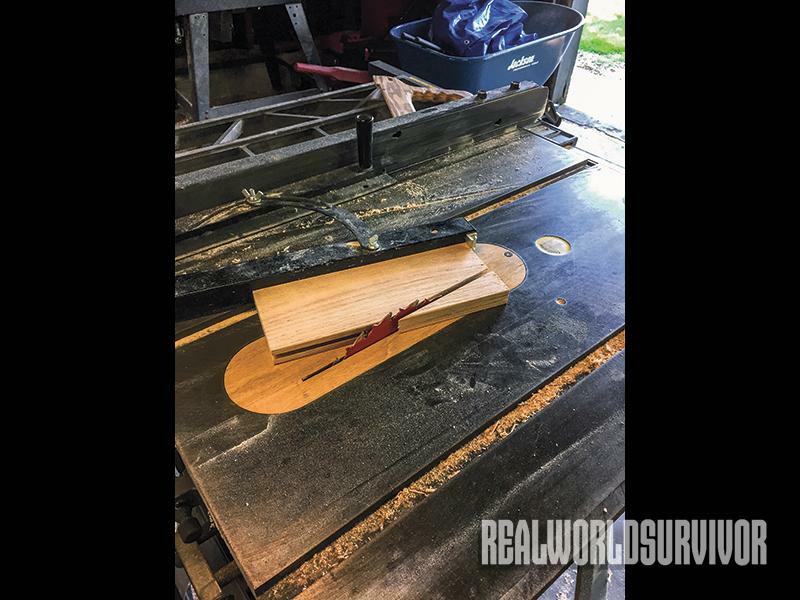 The first table saw cut made for a tenon is called the shoulder cut. To begin, set the height of the saw blade to 1/4 inches. Next position the fence so that it is exactly 3/8 inches from the left side of the blade. 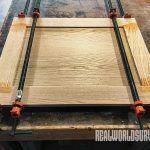 Now, using the miter gauge set to 90 degrees and, with the board face down perpendicular to the fence, run both faces of each end of each rail and center stile through the saw. <b>STEP 3b:</b> Once the shoulder cut has been completed on both ends of each of the rails and center stiles, make the cheek cuts, which will bring the tenons to their final dimensions. Set the blade height to 3/8 inches. The next step is to move the fence over until it is exactly 1/2 inch from the blade. It is a good idea to rub paraffin wax on the fence and the table prior to this step. <br> Be very careful as you proceed. Place the end grain of one of the rails down, with the face against the fence, and run it through the saw. <b>STEP 3c:</b> The cheek piece will fall off. Now rotate the piece so that the other side is against the fence, and make that cut as well. After both cheek pieces are removed, rotate the piece end for end and repeat the cheek cuts. 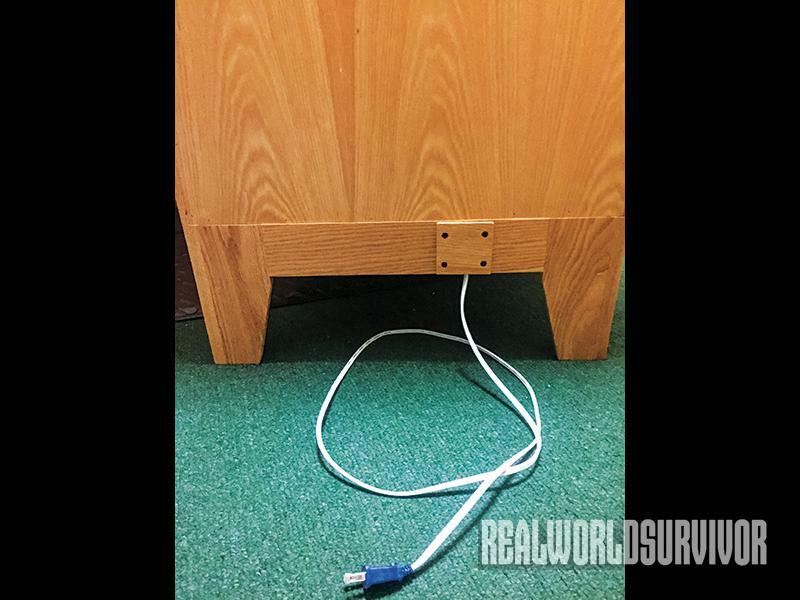 Your rails and center stiles should look like this. 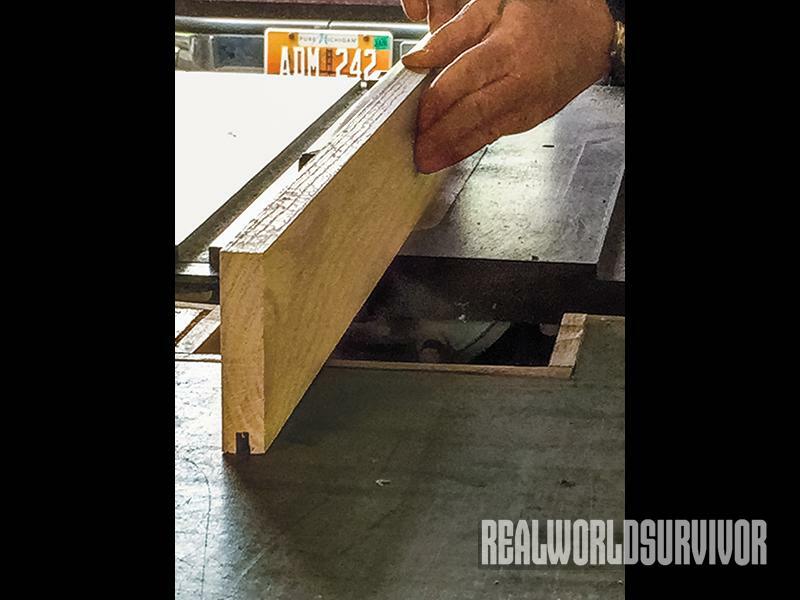 Cut the bottom 9½ inches from the two F-S stiles for the base legs. The top portions will become the door stiles. Mark one stile and base as “right” and the other set as “left.” For a better-looking project, you want the grain patterns to match. Now make a mark 5 inches up from the bottom along the 9½-inch dadoed side of the leg, and 1 inch down along the 3½-inch end. Using a straight edge, draw a line through these two points. 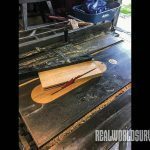 You will cut along this line to create a tapered leg. 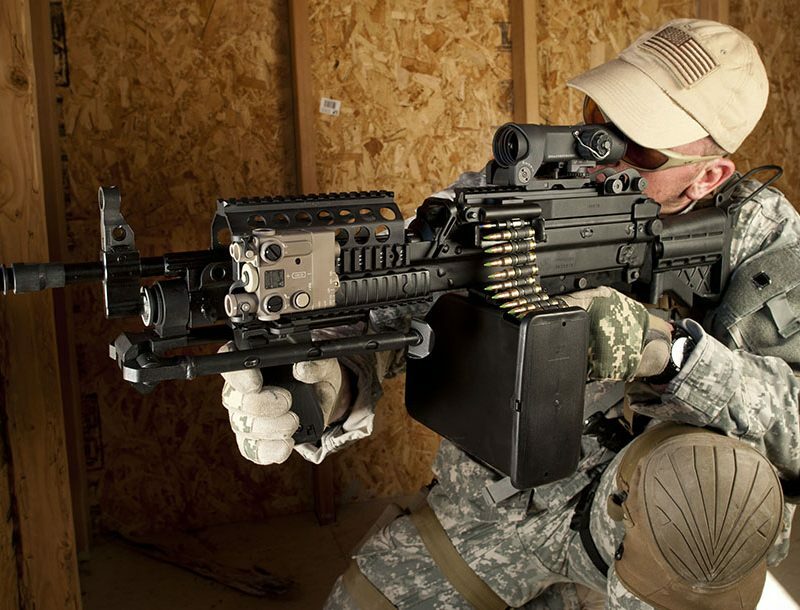 Do the same thing on the other front leg, the two R-S and the four S-S stiles. <b>STEP 5:</b> Front & Rear Bases <br> Now assemble the front and rear bases. 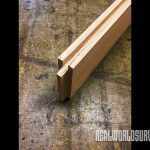 Apply glue to the tenon of the F-R rail. 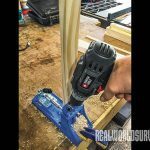 Also apply glue to the top 3 inches of the dado on each front leg. 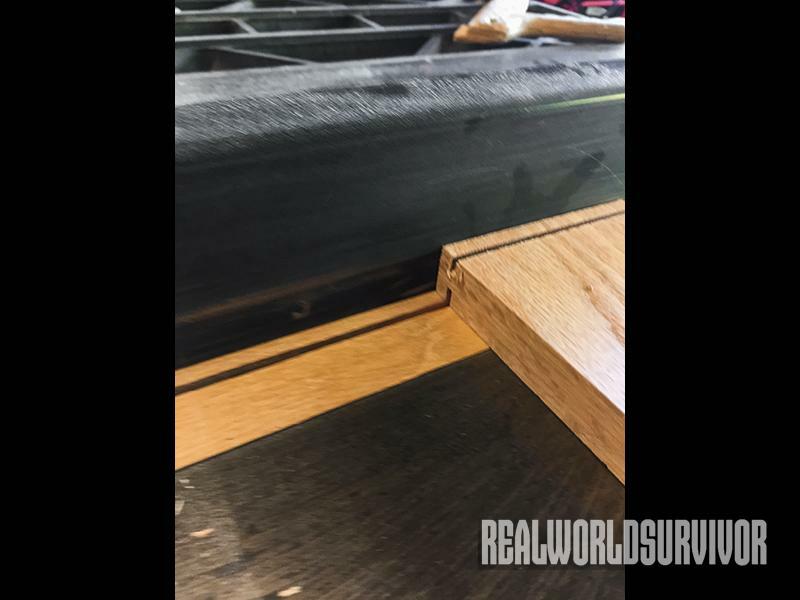 Insert the tenon of the rail into the dado of each leg. Make sure the right and left legs are properly oriented. Take care that the top of each leg aligns with the top edge of the rail, and clamp the unit together. Follow the same procedure for the rear base, using the B-R rail and the B-S stiles. Using a damp cloth, wipe away any excess glue squeezed out of the joints. 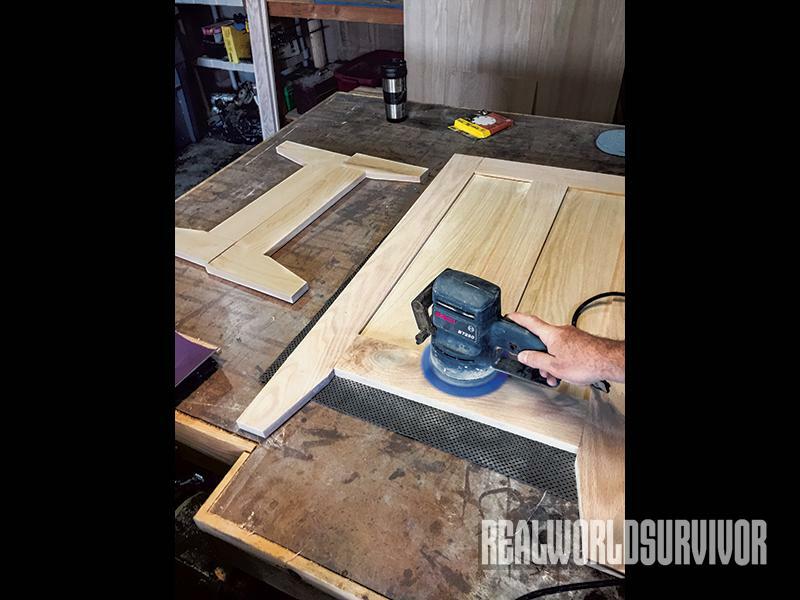 Doing so while still wet will save time when finish-sanding the assemblies. <br> <br><b>STEP 6:</b> Side Assemblies <br> To make one side assembly, you will need two S-S stiles, two S-R rails, one S-C center stile and two S-P panels. 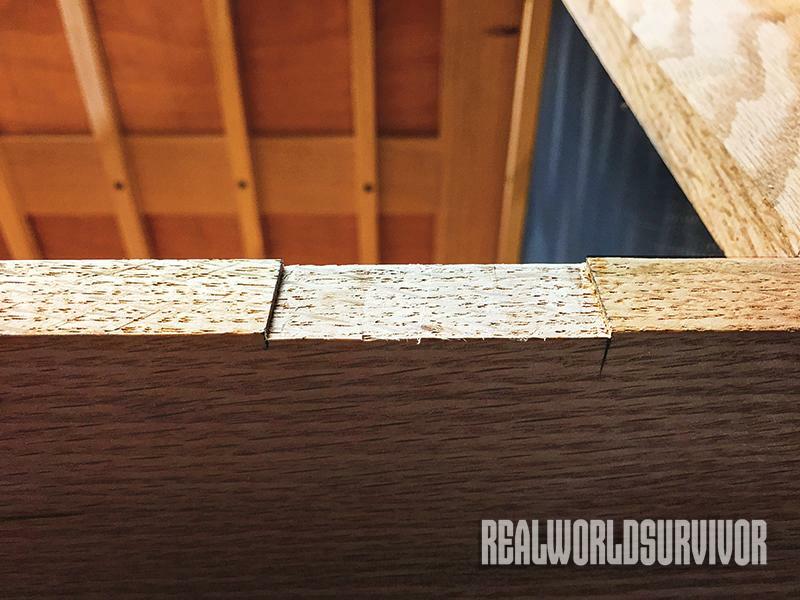 Apply glue to each tenon on the rails and the center stiles. Insert the tenons of a rail into the dadoes of the two stiles. Take care to line up the top edges of each, and apply a clamp to hold them together. Next insert a panel into the left side of the stile and rail assembly. Then insert the center stile into the middle of the top rail. 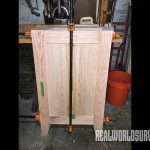 Now slide the second panel between the center stile and the right stile.<br> Finally, insert the bottom rail into the side stiles, making sure that each panel and the center stile slide into the dado. 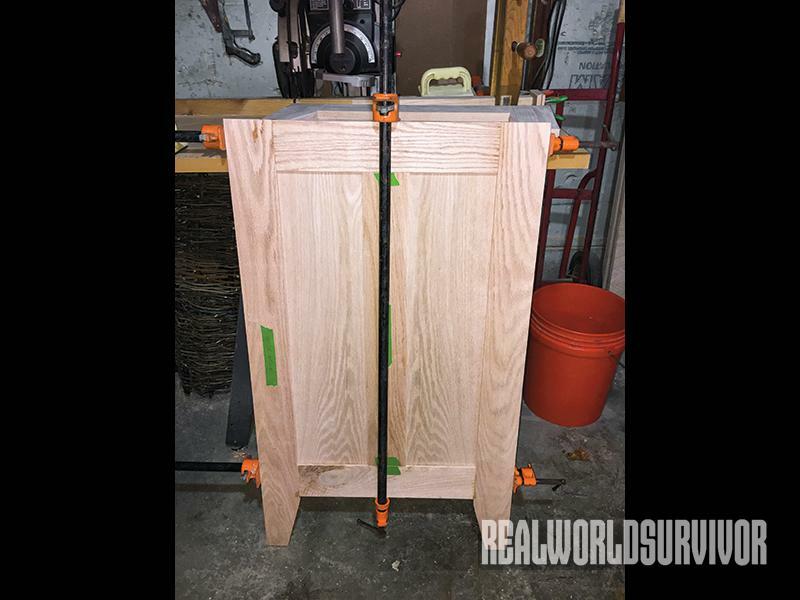 Apply a clamp to draw the side stiles and the bottom rail together. Now apply a clamp from the middle of the top rail to the middle of the bottom rail, along the center stile, and draw these pieces together. 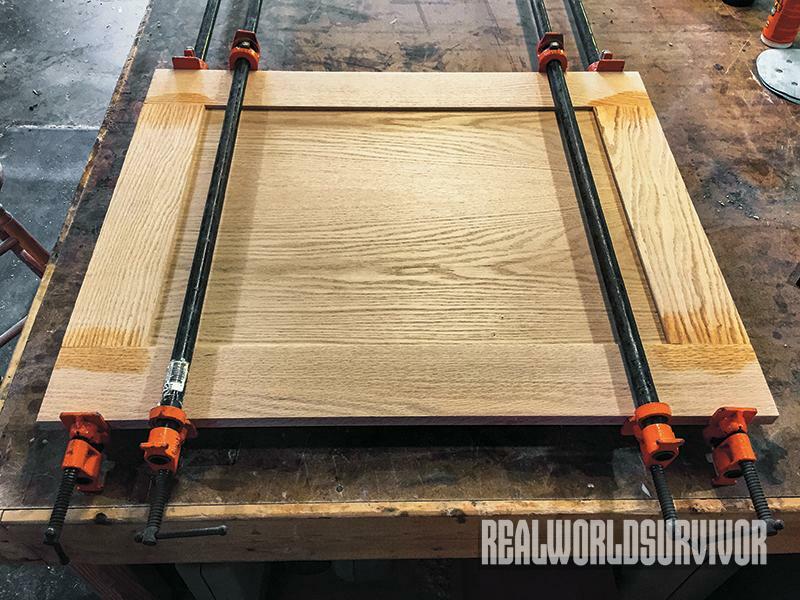 Your final glue-up should look like this photo. Follow the same steps to glue up the other side. Clean off any glue that is squeezed out. 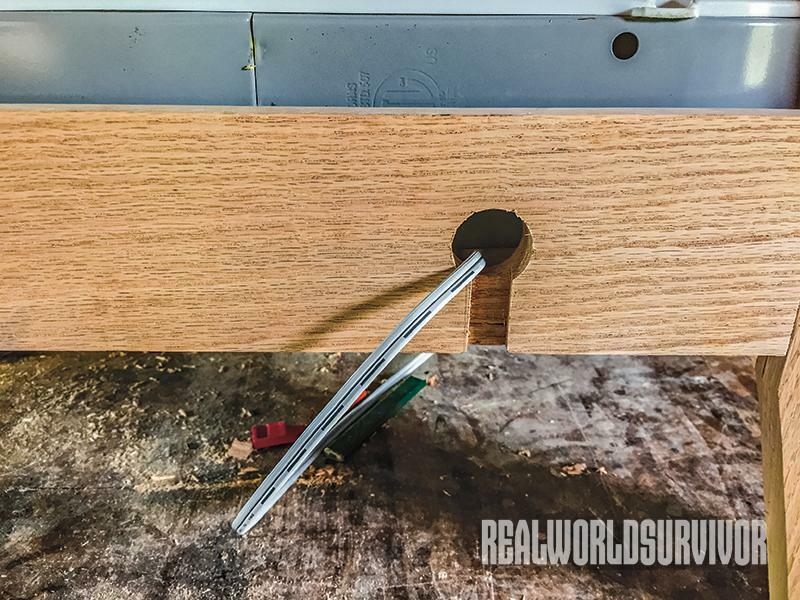 Using the F-S door stiles, the F-R door rails and the F-P door panel, apply glue to each tenon of the F-R rails, and the top and bottom 3 inches of the F-S stiles. Clamp one rail aligned with the top of each door stile, and then insert the door panel. 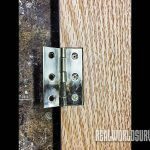 To complete the door, clamp the other door rail aligned with the bottom of the door stiles. Clean off any glue that has squeezed out. <b>STEP 8a:</b> Apply glue to the T-R tenons, and both ends of the 3-inch T-S stiles. Insert the tenons of one T-R rail into the ends of the 2 T-S stiles, making sure the ends line up, and clamp in place. 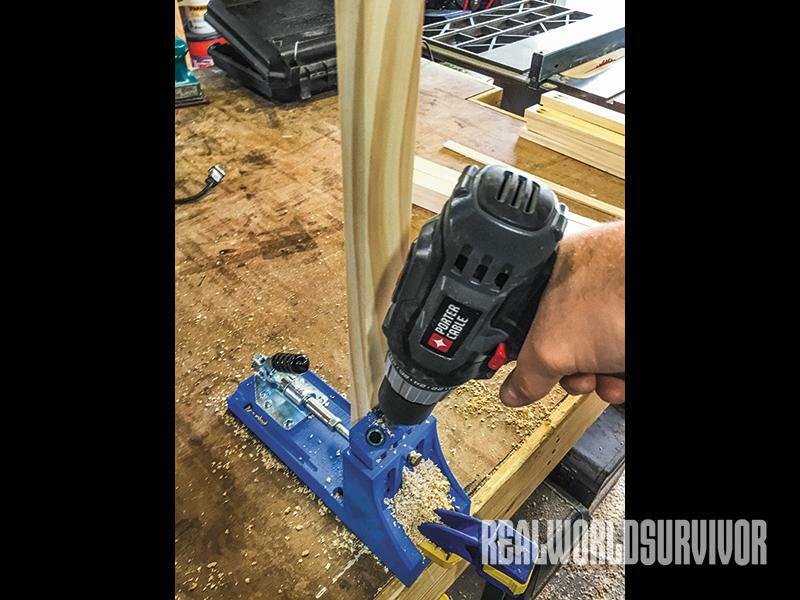 Slide the EM piece into the dado, and clamp the final T-R rail in place. Now flip the assembly over so the back side is on top. 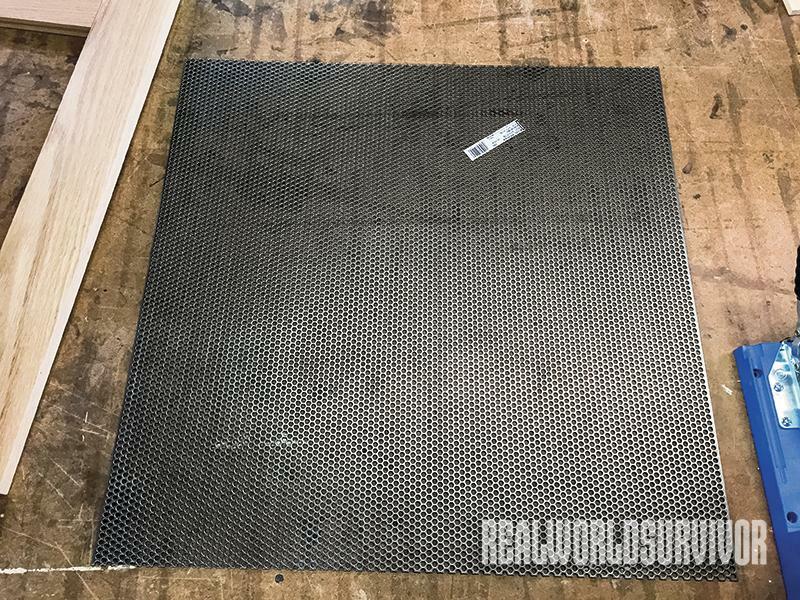 To protect the screen, wedge the perforated steel panel in place close to the top surface. You will need to glue the T-SS strips into the T-S dados, and the T-SR strips into the T-R dados behind the EM steel. 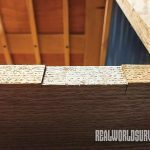 If the strips are too tight, you may need to sand them down until they fit. <b>STEP 8b</b>: Once fully assembled, clean off any glue squeezed out, and set the top aside to dry. <b>STEP 9a:</b> While the glue-ups are drying, assemble the interior bottom frame and the drying racks. 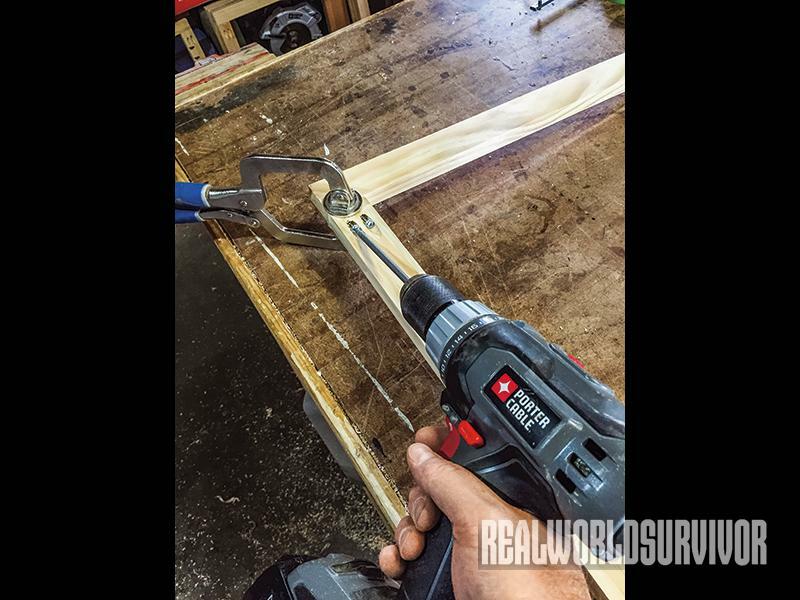 Start by drilling two pocket holes in each end of the 20 R-R rails and the two BF-R rails. <b>STEP 9b:</b> Assemble the interior bottom frame by lining up the outside corners and clamping one end of a BF-R rail to the edge of a BF-S stile. 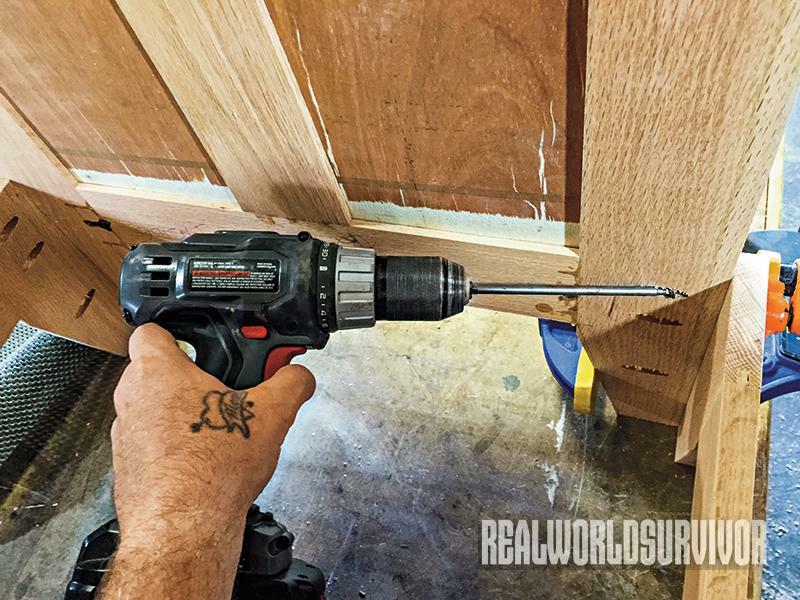 When they form a crisp 90-degree angle, seat coarse-thread pocket screws in each hole. Repeat this process with each of the other three joints. 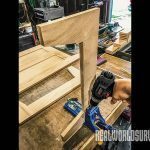 <b>STEP 9c:</b> Lay the bottom frame on a flat surface with the pocket screw holes up. Now staple one SC over the opening. 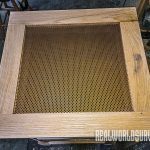 Once the screen is in place, nail the trim pieces BF-TS and BF-TR over their respective stiles and rails to cover the pocket holes and screen edges to give a finished look. 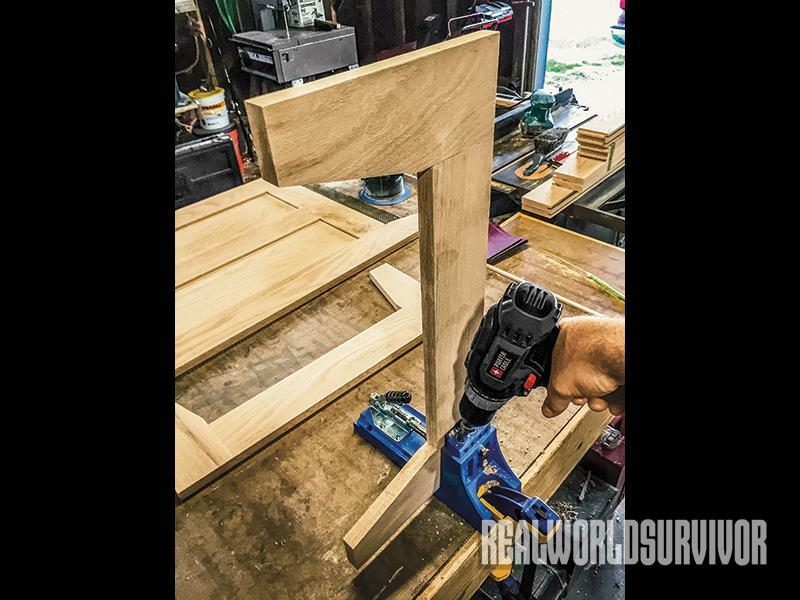 Turn the inside bottom frame over and drill two pocket screw holes 3 inches and 4 inches respectively from the corner on each length of the frame underside. These holes will be used to secure the frame to the inside of the cabinet. Use the R-S stiles, the R-R rails, the R-TS stile trim, the R-TR rail trim and 10 SC screens and follow the bottom frame construction procedure to make the 10 drying racks. It is much easier to sand all of the parts prior to assembly. After the glue sets for 24 hours, remove the clamps and sand all assemblies. <b>STEP 11a:</b> Now assemble the unit. 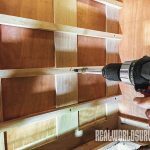 Begin by drilling three pocket screw holes along the outside edges of the back base B-S. <br> Next, drill pocket screw holes along the bottom 9 inches of the front inside edge of each side assembly. Also drill two pocket holes in each end of the back of rail F-RT and the front of the back rail B-RT. To begin assembly, align the feet and clamp the bottom base assembly inside the back of the side assembly. Make sure the face of the rear assembly and the back edge of the sides align, and seat a fine-thread pocket screw in each hole. <b>STEP 11b</b>: Now clamp the front base over the side assembly. Make sure the outside edges of the front base and the face of the side assemblies align, and seat a screw in each of the pocket holes. <br> Align and clamp rail F-RT with the top and front edges of the cabinet sides, and seat a screw in each hole. Now clamp the bottom of the base frame 6 inches up from the inside bottom of the cabinet assembly. 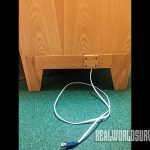 Make sure the screen is facing up into the cabinet, and seat fine pocket screws in each of the holes to hold it in place. 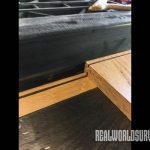 <br>Turn the cabinet on its face, and use a router with a 3/8-by-3/8-inch rabbeting bit with a guide bearing to rout a rabbet along the inside edge of the cabinet sides and base. 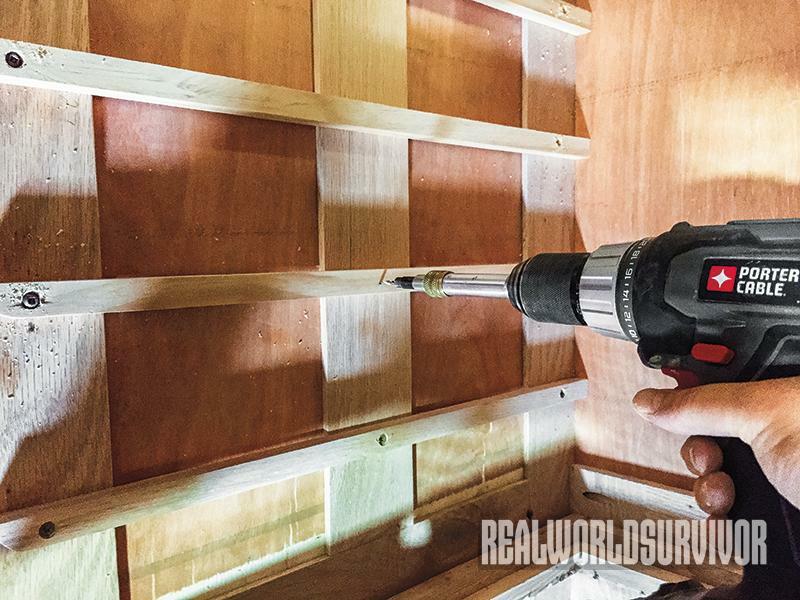 Use a chisel to square up the rounded corners, then nail the back panel in this rabbet. <b>STEP 11c:</b> Place rail B-RT against the back panel, and clamp in place with the top edge aligned with the back panel and cabinet sides. 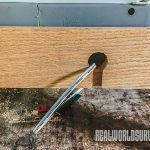 Seat a fine-thread screw in each pocket hole, and nail the back panel to this rail.<br> Drill a 1 1/8-inch hole in the bottom back rail for the fan cord. Cut a dado the width and depth of the fan cord from the center of this hole to the bottom of the base assembly. <b>STEP 12a:</b> Once the fan is installed, cut a piece of the 1/4-inch plywood 2 inches by 3 inches to screw over this hole to prevent insects from getting in. 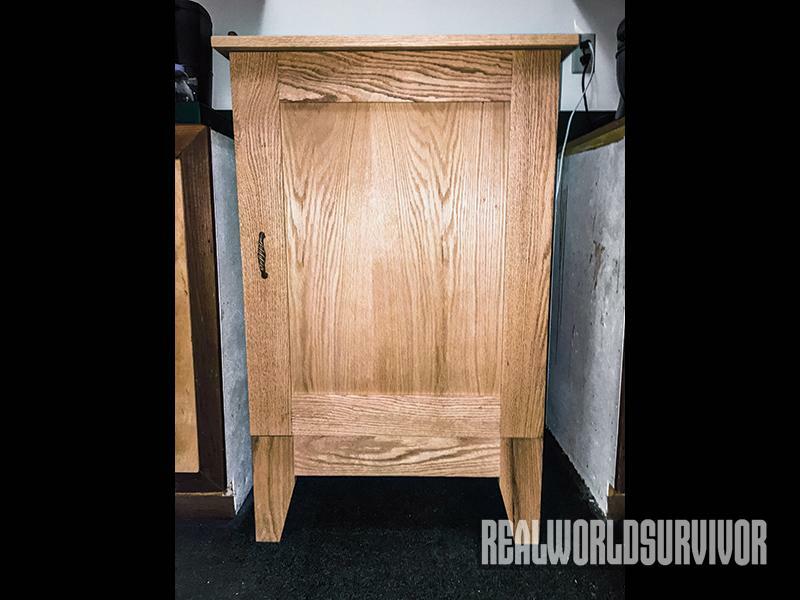 <b>STEP 12b:</b> Starting from the bottom frame, draw lines from the front of the cabinet to the back at 6½ inches, 11½ inches, 16½ inches, 21½ inches and 26 ½ inches. 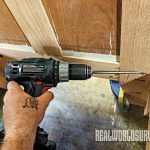 Using 1¼-inch fine-thread screws, align the top of each of the R-R runners with the line, pre-drill and screw them in place. 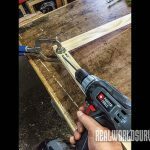 <br> Drill pocket holes at the top of each side assembly as well as the front and rear rails, all 4 inches in from each corner. These eight holes will be used to attach the unit top.<br> Staple the last piece of screen over the underside opening of the top assembly. Center the top on the cabinet, making sure the back of the top and the back of the cabinet align. 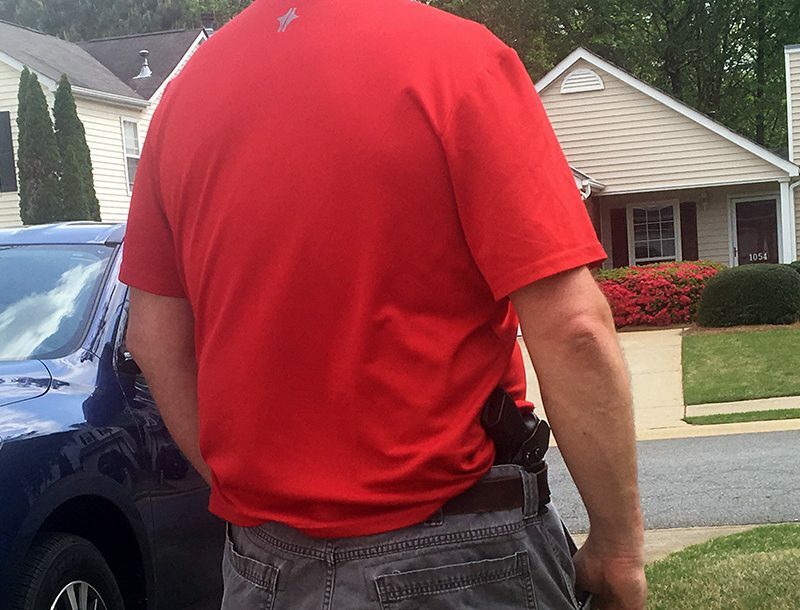 There should be no overhang in back. Clamp the top in place and set a fine-thread screw in each of the pocket holes. <b>STEP 12c:</b> Cut mortises for the hinges on the door and the corresponding location on the side stiles. <b>STEP 12d:</b> Install hinges on the door. <b>STEP 12e:</b> Hang the door on the cabinet. 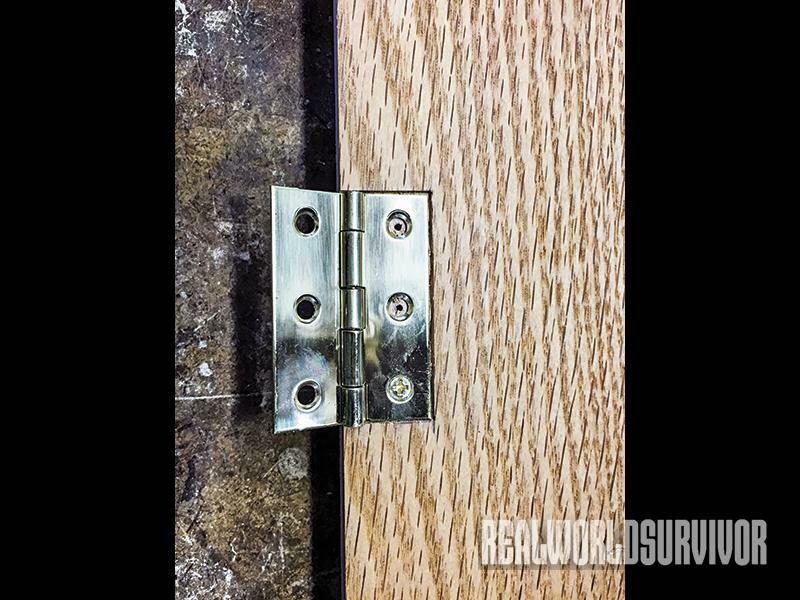 Install the handle and door catches. 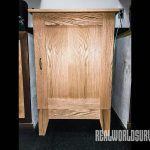 <br> To finish my cabinet, I applied multiple coats of tung oil finish to the entire cabinet, inside and out, and allowed it to dry completely. 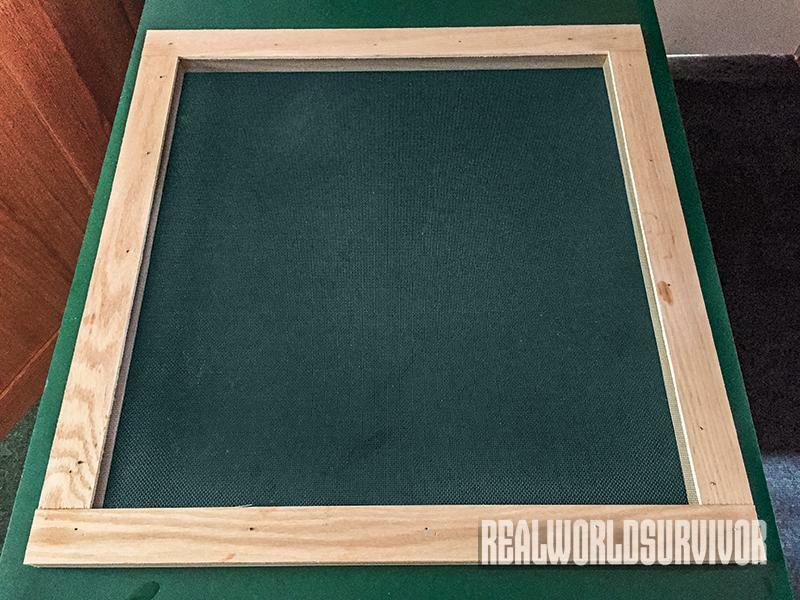 In order to create a tough finish that will last for years, I applied multiple coats of a wipe-on polyurethane. 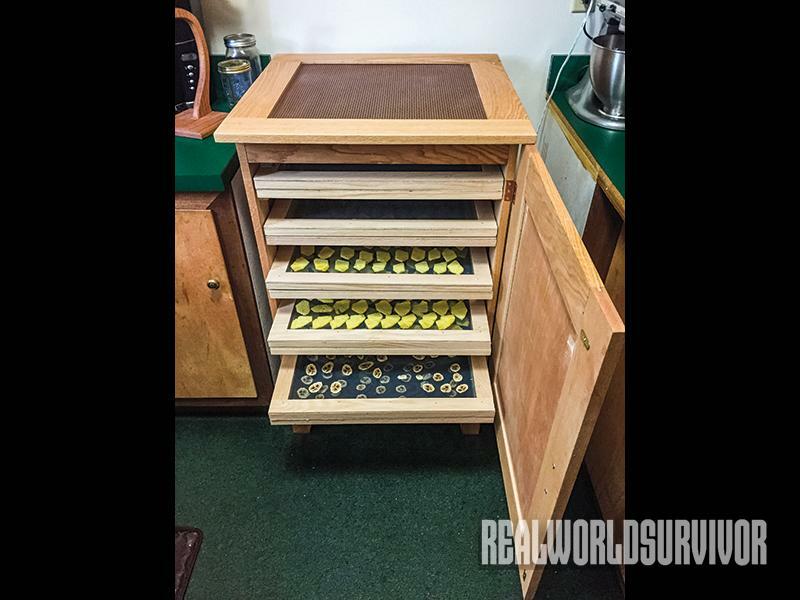 A dehydrator is the perfect answer for extending the useful shelf life of meats, fruits, vegetables, mushrooms and herbs without many of the drawbacks of smoking, canning or freezing. Rather than paying hundreds of dollars for a low-capacity machine, I decided to make my own. I used the Golden Ratio when determining the proportions of the cabinet. This ratio is approximately 3:5, which means that for each three units of width, my cabinet is five units high. I chose final dimensions of 24 inches wide, 24 inches deep and 40 inches high. The inlet screen is 6 inches off the ground to allow for plenty of airflow while minimizing the amount of dust drawn up to clog the screen. To protect the outlet screen from damage, I added a 16-gauge, perforated steel plate to the top. A 20-inch box fan from the local big box store generates airflow. 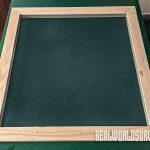 I decided to make my dehydrator out of oak, and designed it so anyone can build it who has access to a table saw, router, drill, pocket-hole jig and simple hand tools. 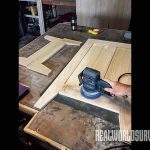 While not as aesthetically pleasing, one could do away with the need for a router and pocket-hole jig by surface nailing or screwing the cabinet together. This cabinet is Shaker inspired, using stile-and-rail and flat-panel construction. Stiles are the long vertical parts of a frame. The rails are the horizontal pieces that fit into the top and bottom of the stiles to form a frame into which the panels are placed. To allow for seasonal expansion and contraction, only the stiles and rails are glued; the panels are free floating. 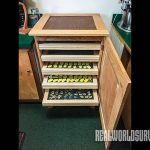 The cabinet has two sides, each with two panels, a front and rear base, a flat-panel door, a perforated steel-paneled top, a flat panel on the rear, a bottom frame with a screen and drying racks. I painted the perforated sheet steel, hinges and door handle with an aged copper spray paint. You can use whatever color suits your taste. 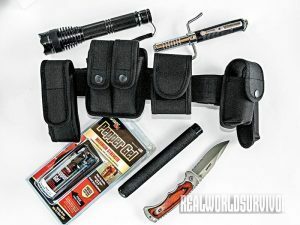 Assemble a defense weapon belt that’s ready to strike at any time!